RICHMOND, Va. -- A Virginia man who killed a hospital security guard and a sheriff's deputy after escaping from custody in 2006 was executed Thursday after an unsuccessful campaign to spare the inmate's life over concerns about his mental health. 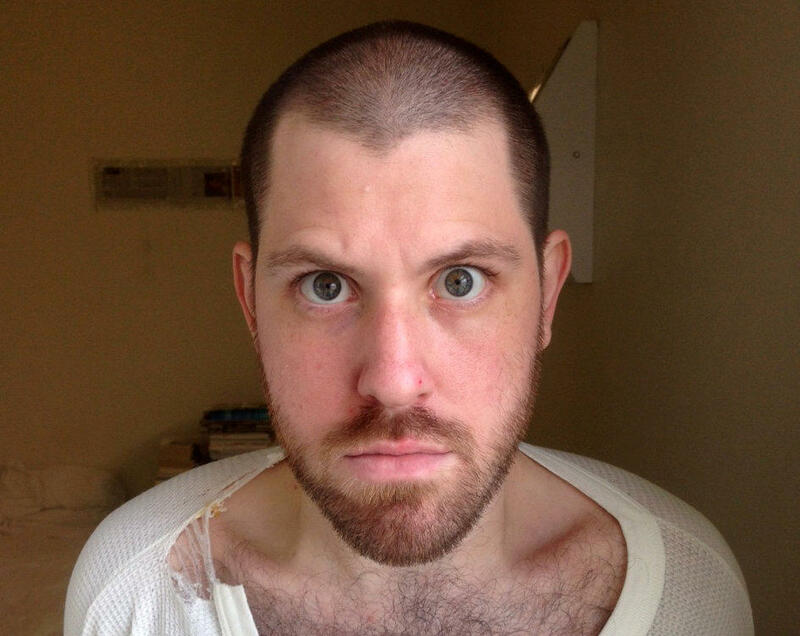 Morva's execution came hours after Virginia's Democratic governor announced that he would not spare Morva's life despite pressure from mental health advocates, state lawmakers and attorneys who said the man's crimes were the result of a severe mental illness that made it impossible for him to distinguish between delusions and reality. Morva, who was wearing jeans and a blue shirt, said "no" after he was asked whether he had any last words. A few minutes later, he could be heard speaking, but it was not clear what he was saying. In denying a clemency petition, Gov. Terry McAuliffe concluded Morva received a fair trial. The Democratic governor noted that experts who evaluated the man at the time found he didn't suffer from any illness that would have prevented him from understanding the consequences of his crimes. He also said prison staff members who monitored Morva for the past nine years never reported any evidence of a severe mental illness or delusional disorder. "I personally oppose the death penalty; however, I took an oath to uphold the laws of this Commonwealth regardless of my personal views of those laws, as long as they are being fairly and justly applied," McAuliffe said in a statement. Morva was awaiting trial on attempted robbery charges in 2005 when he was taken to the hospital to treat an injury. There, he attacked a sheriff's deputy with a metal toilet paper holder, stole the deputy's gun, and shot an unarmed security guard, Derrick McFarland, in the face before fleeing. A day later, Morva killed another sheriff's deputy with a bullet to the back of the head. The deputy, Eric Sutphin, had been searching for Morva near Virginia Tech's Blacksburg campus when he was shot. Experts who examined Morva for his trial said he suffered from personality disorders that resulted in "odd beliefs." Before his escape, Morva told his mother that his health was "dwindling" and that someone in jail wanted him dead. His lawyers argued that Morva escaped and killed the men because he was under the delusion that he was going to die in jail. Relatives described Morva as a happy child who began to deteriorate mentally as a teen. In the years before the killings, Morva regularly slept in the woods and was known around Blacksburg as "Crazy Will" and "Barefoot Will" for his tendency not to wear shoes, even in winter. He was banned from Virginia Tech's campus after police found him half naked on a bathroom floor. Morva was the first inmate executed in Virginia since officials made changes to the state's protocol that have drawn fire from attorneys and transparency advocates. Those changes came after attorneys raised concerns in January about how long it took to place an IV line during the execution of convicted killer Ricky Gray. Execution witnesses used to be able to watch inmates walk into the chamber and be strapped down. A curtain would then be closed so the public could not see the placement of the IV and heart monitors. After the curtain was reopened, inmates would be asked whether they have any final words before the chemicals started to flow. In Morva's execution, the curtain was closed when the witnesses entered the chamber and was not opened until he was strapped to the gurney and the IV lines were in place. Virginia used a three drug mixture, including midazolam and potassium chloride that it obtained from a compounding pharmacy whose identify remains secret under state law. Among those who had urged McAuliffe to spare Morva's life were mental health advocates, two United Nations human rights experts and representatives from the Hungarian Embassy. Morva's father was born in Hungary and Morva is a Hungarian-American dual national.